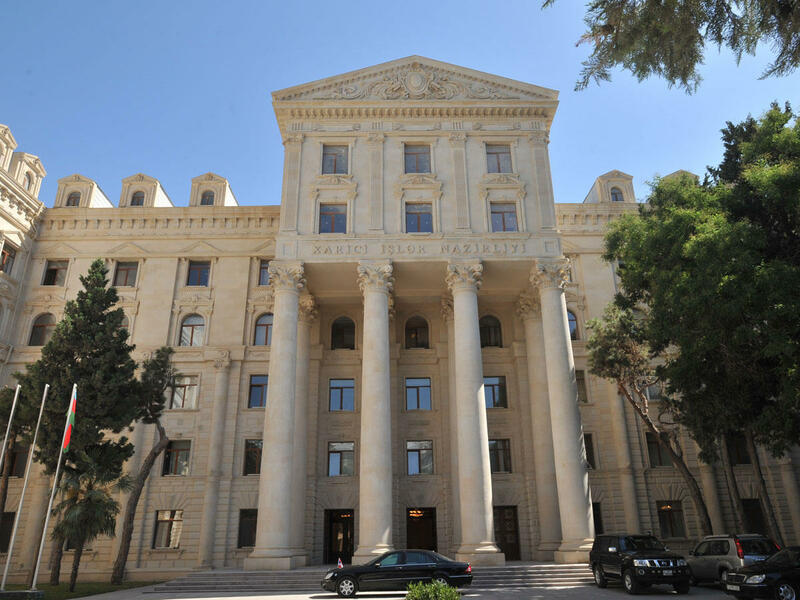 Spokesman of the Azerbaijani Ministry of Foreign Affairs Hikmat Hajiyev issued a statement in connection with the 25th anniversary of the occupation of Azerbaijan's Gubadly district. "On August 31, 1993, as a continuation of the military aggression of the Republic of Armenia against the Republic of Azerbaijan, the Gubadly district, located outside the former Nagorno-Karabakh Autonomous Region of Azerbaijan, was occupied by the armed forces of Armenia," Hajiyev said. "During the occupation of the Gubadly district with an area of 802 sq. km. and a population of about 30,000 inhabitants living in 1 town and 93 villages as for 1993, 192 people were killed, 238 were injured and 49 were tortured and taken hostage. The residents of Gubadly were subjected to total ethnic cleansing and the state and private property were plundered. Among them, there were 7278 individual houses and apartments, 64 administrative buildings, 148 social facilities, 161 cultural facilities, including 3 museums and more than 50 historical monuments. Currently, around 41,000 residents of the Gubadly district live in Sumgayit and other regions of Azerbaijan as IDPs. "As in other occupied territories, in the Gubadly district as well, Armenia carries out the policy to plunder, falsify, vandalize and change the characteristics of cultural-historic heritage of Azerbaijani people. In this regard, the archaeological site of the residential area in the ancient part of Gubadly town, two castles in the village of Aliguluushaghy and the castle in Muradkhanly village of the Late Bronze-Early Iron Ages, the medieval Caucasian Albanian temple in the village of Basharat, the 14th century cemetery and Javanshir tomb in Yazy field near the village of Gayaly, two tombs of 13-14th centuries in the village of Damirchilar, numerous mosques in different villages, Gubadly Museum of History with three thousand exhibits and other monuments have been subject to destruction and looting. "The Republic of Armenia, grossly violating the obligations under the Geneva Conventions, continues to commit such unlawful acts as the change of geographical names in the Gubadly district, the looting of property there and settling the persons of Armenian origin. To this end, the settlement of the Armenians from Syria in Khanlyg village of the Gubadly district carried out by the Tufenkian Foundation is a vivid example. "In the resolutions 874 (1993) and 884 (1993) adopted by the United Nations Security Council after the occupation of Gubadly, strongly condemned the occupation of the territories of the Republic of Azerbaijan and expressed serious concern over the humanitarian emergency on Azerbaijan’s southern frontier, and the expulsion of a large number of civilians from their places of permanent residence. Both resolutions demanded the withdrawal of the occupation forces unilaterally from the occupied territories of Azerbaijan in accordance with the "Adjusted timetable of urgent steps to implement Security Council resolutions 822 (1993) and 853 (1993)". However, Armenia refrains from implementing the demands of UNSCR. "The occupation of Azerbaijani territories can never lead to political results pursued by Armenia. Only the withdrawal of the Armenian troops from the occupied territories of Azerbaijan and the change the status quo of occupation can open the way for a political settlement of the conflict, comprehensive regional cooperation and contribute to ensuring sustainable peace. "The Azerbaijani side, supporting the intensification of international efforts for soonest resolution of the conflict, retains the right to restore its territorial integrity and sovereignty within the internationally recognized borders and the violated rights of its citizens."